Building Traditional Oak Garages Across Wiltshire. 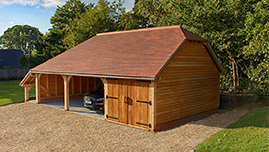 We have been building oak framed garages in and around Wiltshire for over 20 years. Our beautiful oak frames have a local reputation around the county and beyond for their strength, classic details and traditional design. You may have seen our oak frames displayed around the Wiltshire countryside or at neighbouring county shows. We have a large range of oak frames for you to choose from, including; oak framed garage designs that are perfect for housing classic cars as well as our Extrawide ™ range of garages specifically designed to house those larger family vehicles. If it’s extra accommodation you’re looking for our classic hideaway frames allow for a staircase up to a stunning loft room, for which the possibilities are endless. The frame is the most important element of our craft, which is why we put so many details into each one. With a Classic Barn Company outbuilding you will receive a well sized and beautifully designed building boasting many traditional features. We can take care of your entire project from start to finish and guide you through the various choices of frames and the construction process. We can even help you with your planning application if you require one. Our team are able to maintain a well kept schedule for each client and control the timings of the build, so you can sit back and watch your oak building come to life. 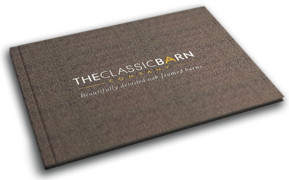 Take a closer look at the detail in our frames by contacting us and requesting a brochure, where you will be able to explore more about our company and the various oak framed garages we have to offer. We will happily come out to meet you and carry out a no obligation site survey to discuss the ideas you may have for your oak frame design. 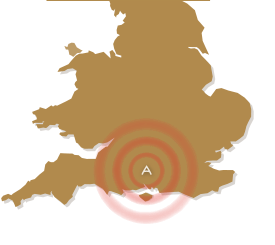 Commissioning projects in Salisbury, Warminster, Amesbury, Trowbridge, Marlborough, Chippenham, Devizes, Bradford on Avon, Wootton Bassett, Wilton, Pewsey, Melksham, Downton and Westbury.